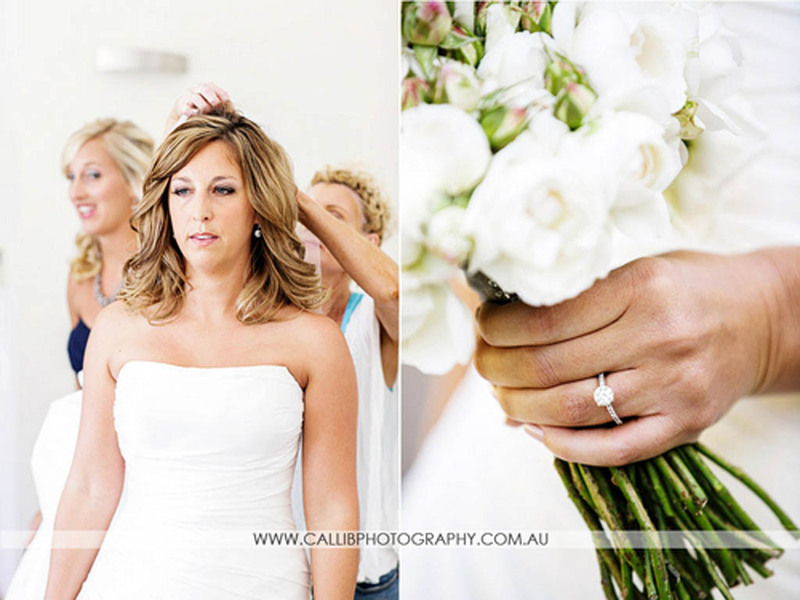 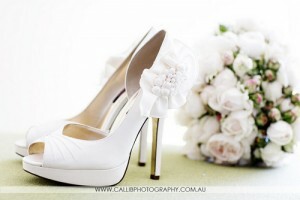 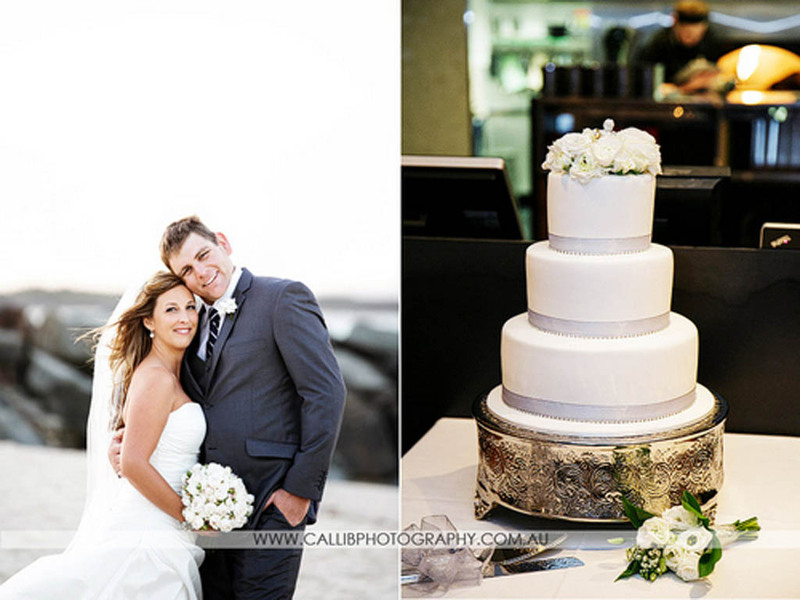 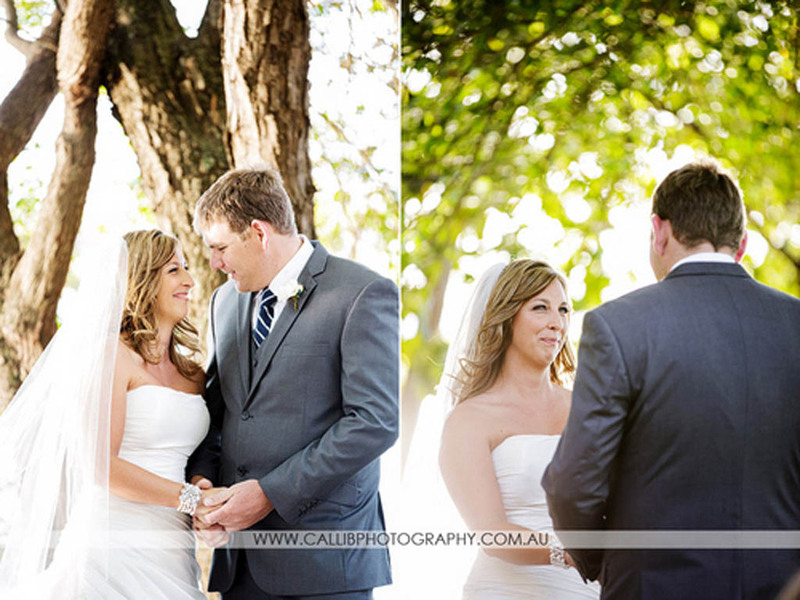 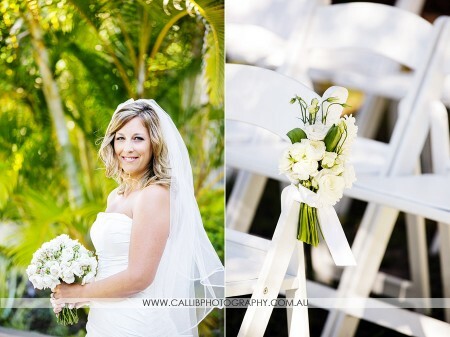 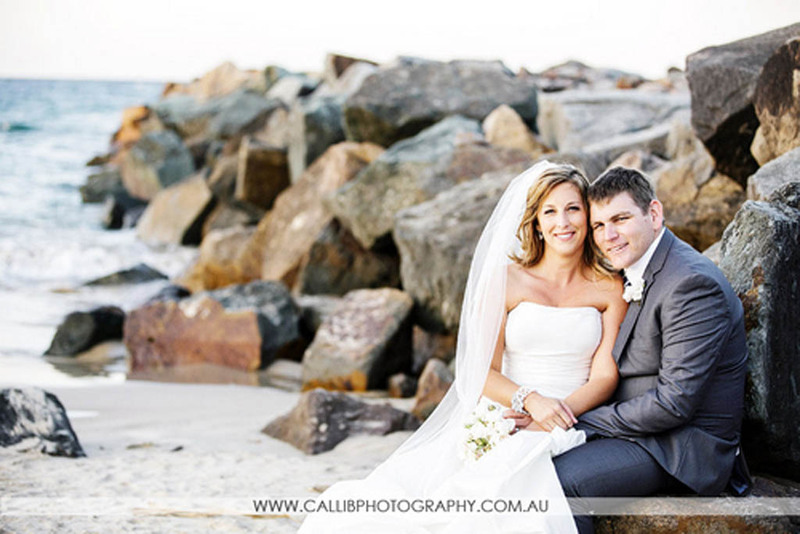 Stephanie and Angus were married recently in Noosa, and celebrated their reception at Ricky’s. 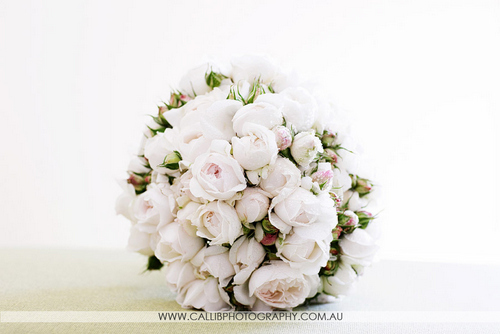 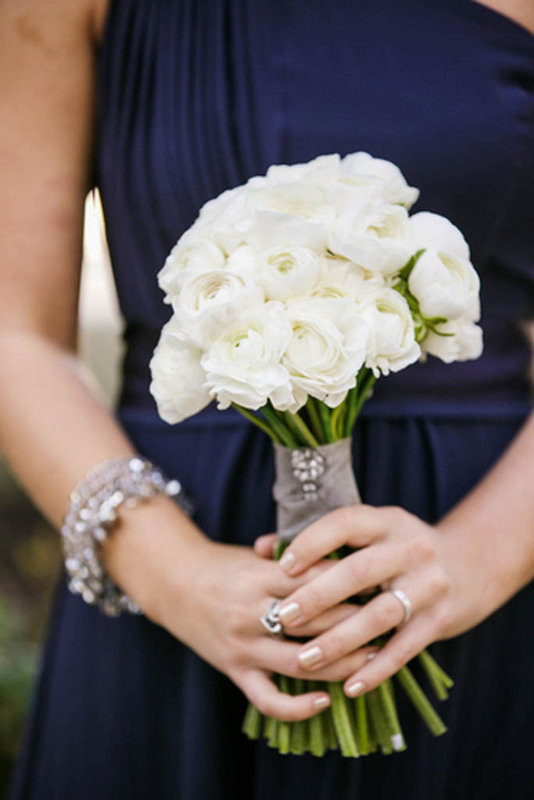 Stephanie carried a medium sized bouquet of divine ivory David Austin roses. 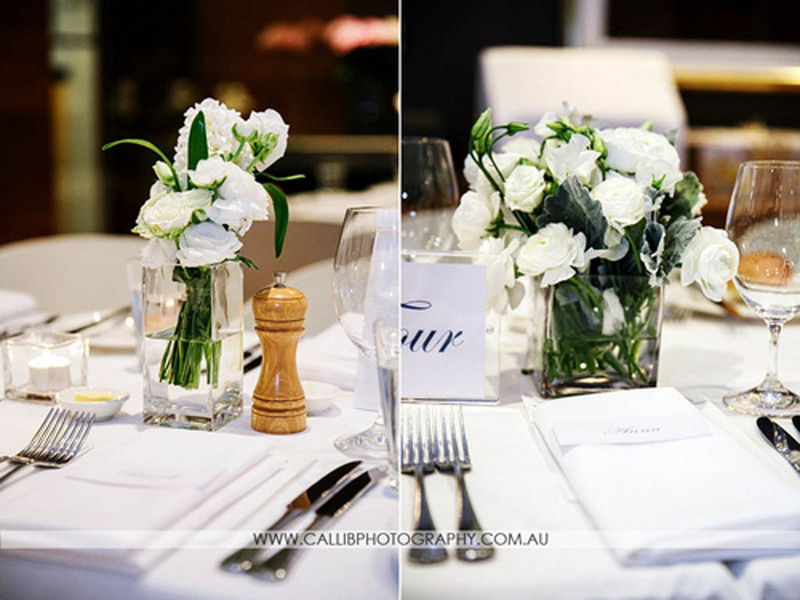 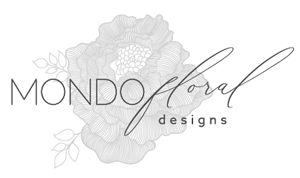 The design had an unstructured and relaxed feel and featured natural exposed stems. 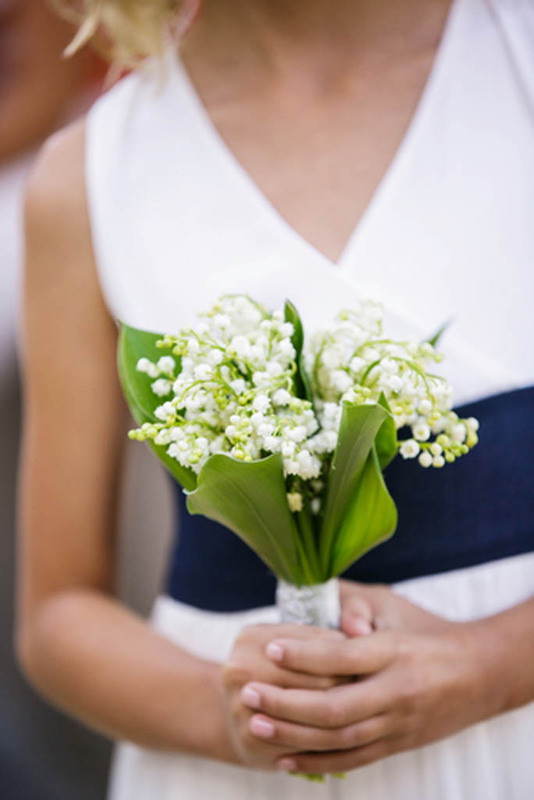 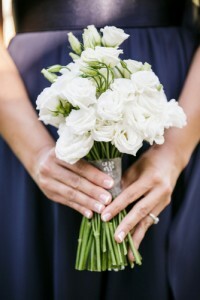 Each of Stephanie’s bridesmaids held a different floral variety, in petite style posies including all white tulips, ranunculus and lisianthus and the flower girl carried a fragrant bouquet of lilly of the valley, which was truly glorious. 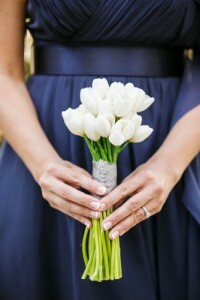 Small posies of white tulips, hyacinth and lisianthus were tied to the aislway chairs to accessories the riverfront ceremony. 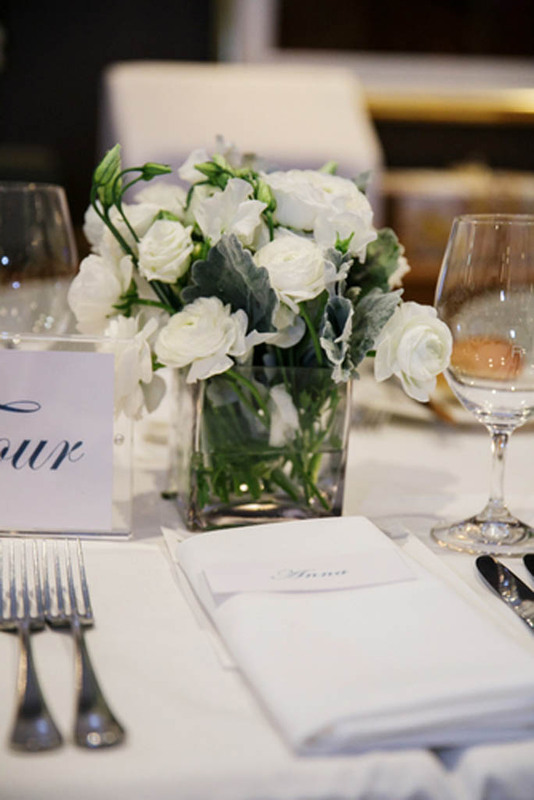 The reception tables had glass cube designs of lisianthus, ranunculus and tulips with a touch of dusty miller foliages.